A few years after its emergence in England in 1956 (Richard Hamilton's Just What Is It That Makes Today's Homes So Different, So Appealing? ), a similar movement appeared on the New York scene: American Pop Art. Coming on the heels of Expressionism â€“ which was abstract, serious and cerebral â€“ this new aesthetic reflected an optimism that had emerged from a developing consumer society. During the late 1940s and 1950s, the celebrated art critic Clement Greenberg famously advocated that contemporary artists should adhere to an aesthetic of 'art for art's sake' and pure painting: painting that was non-narrative, and more importantly, entirely abstract. All this was thoroughly swept away by a new generation of talented artists such as Roy Lichtenstein, Andy Warhol, Claes Oldenburg, James Rosenquist and Tom Wesselman. Beyond the visual and conceptual impact it had on art, Pop Art played an important, but lesser-known role in the evolution of art. For the first time, a purely American movement emerged that traveled back across the Atlantic and influenced European art. This represented a new dynamic. Previously, European artistic movements had always influenced American art, and had even been at the source of Abstract Expressionism, considered to be quintessentially American. But starting in 1963-1964, Pop Art would begin to reverse this tendency. Due in part to the commercial ambitions of American art galleries â€“ in particular those of Leo Castelli and Ileana Sonnabend who wished to expand their markets â€“ the French art world, and by association the Belgian art world, discovered Pop Art at the Sonnabend Gallery in Paris. This was the beginning of a short but intense "pop romance" that featured a number of key Belgian artists. Evelyne Axell, Jef Geys, Pol Mara, Raoul De Keyser, Roger Raveel, as well as Marcel Broodthaers, Panamarenko, Pol Bury, Hugo Heyrman and Wout Vercammen â€“ these are just some of the Belgian artists that were inspired by Pop Art. Each in their own way imbued the plastic arts with a new visual idiom originating in the US. The result: vividly-colored work that was conceptually often highly heterogeneous through which Belgium, via Paris, discovered New York culture. 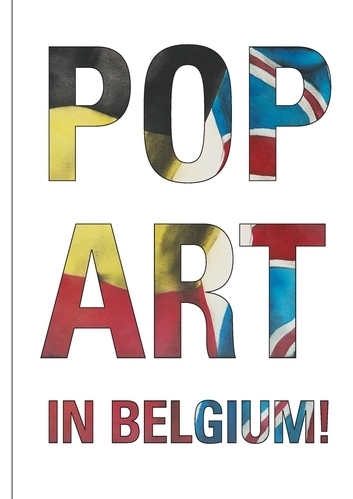 Pop Art also quickly found its place in different Belgian collections. Baron Léon Lambert, Hubert Peeters and Roger Matthijs were among the first to acquire Pop Art in Belgium. In a quickly-evolving world, where affordable air travel made continent-hopping possible, these collectors â€“ through their relationships with Belgian artists and the great interest they had in art â€“ contributed to the influence of Pop Art in Belgium. They also helped write a chapter of history, in which Belgium discovered America. Well-known critics such as Jean Antoine, Jef Cornelis and Jean DyprÃ©au supported Pop Art in television programmes and exhibition reviews in the early 1960s.